Christmas Gifts for Teenagers - What They Really Want! If you have teenagers on your 2019 Christmas gift list, we understand your anxiety? Teenagers can be difficult to buy presents for at Christmas when their likes and dislikes often change like the wind. Buying gifts for teens doesn't have to fill you with dread and fear. At Nobrain, we have taken the stress out of buying Christmas gifts for the troublesome teens on your shopping list. Check out our latest and greatest gift suggestions here at Nobrain and your Christmas morning will be filled with joy. Teenagers are human too and they deserve nice heartfelt gifts just like the rest of us. So take time to find out what they really want and what they really need this Christmas and you will be the hero this year and every year. 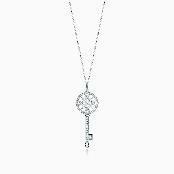 The simplicity and sophistication of the classic key pendant is a hot item for this year. We have seen these gorgeous necklaces paired with cozy cashmere or soft cotton sweaters for an ultra lux look. We are so in love with these necklaces and the lucky gal on your gift list will too. Trust us we know. This is a really fun and enjoyable gift for those who love scrabble or word games. Bananagrams is a fast and fun game that requires no pencil, paper or board. All you need is a table. It is super for family fun games nights as well as being educational. 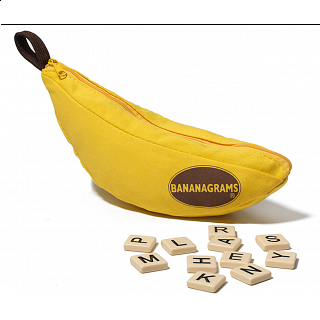 Bananagrams' portability makes it perfect for travel. Just grab the pouch and go. We are so in love with instant cameras and really love the Fujifilm Instax Mini 9. Check out the cool bright colors. There's cobalt blue, Flamingo Pink, Ice Blue, Lime Green and Smokey White. This camera is a huge hit at parties and takes really bright crisp pictures. It has a very 90s feel and really really cute. We took a survey and the results are in. This little beauty is a winner. Want more details? 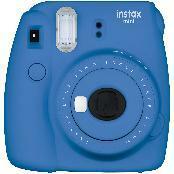 Check out our Instax Mini review video. Big Bang Theory PJs - Makes a Super Gift ! This 100% cozy cotton men's pajama set makes a really great gift for that handsome guy in your life. Who doesn't love Sheldon and Big Bang Theory? These soft kitty pjs are sure to make your guy smile. I bet he will look great in them too! 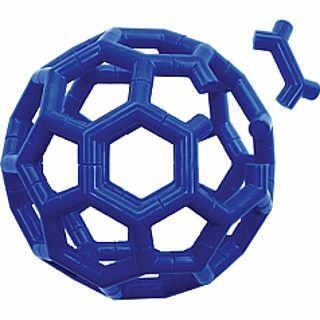 This orb-like geometric figure long admired for its beauty is a difficult and mind blowing puzzle not for the feint of heart. You can use this puzzle to design and create new shapes, as a meditation aid to free your mind or Just PLAY with it! Thanks for taking the time to check out our Christmas gift suggestions for the teens. We hope you found something great for your teen-aged consumer.